The Professional Regulation Commission (PRC) and the Board of Accountancy announce results of October 5,6,12&13, 2013 CPA board exams - Certified Public Accountants licensure examination in six (6) working days from the last day of exam. 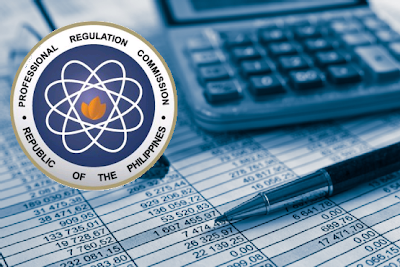 PRC named 4,246 out of 10,396 examinees who had passed the Certified Public Accountant Licensure Examination. List of passers, topnotchers (top 10), performance of schools and top performing schools are available here once officially released online. The four-day October 2013 CPA board examination was acheduled in the cities of Manila, Baguio, Cagayan de Oro, Cebu, Davao, Iloilo and Legazpi. Accountancy licensure exam covers the following subjects: Theory of Accounts, Auditing Theory (Day 1); Management Services and Practical Accounting Problems I (Day 2); Auditing Problems and Practical Accounting Problems II (Day 3) and Business Law and Taxation (Day 4). In October 2012 and May 2013 CPA board exams, results were released in just 1 working day after the last day of examination. PRC named 1,553 out of 5,665 new accountants for May 2013 board exam. De La Salle University-Manila was the only top performing school for having 96.36% passing percentage. Meanwhile, Ateneo de Davao University graduate lead the passers with 96.00%. In October 2012 CPA licensure exams, 4,772 out of 9,987 passed the Certified Public Accountant Licensure Examination. University of the Philippines-Diliman (UPD), Bicol University-Daraga (BU-D), University of Santo Tomas (UST) and University of Saint Louis - Tuguegarao(USL-T) are among the top performing schools. UPD got 100% passing rate while two(2) UST graduates grabbed the highest place.